Accordingly, the company's "Just Right," "Go Big," and "Gotta Have It" bundles will cost $55, $65, and $75. These offer 80-, 100-, and 120-plus channels, respectively. 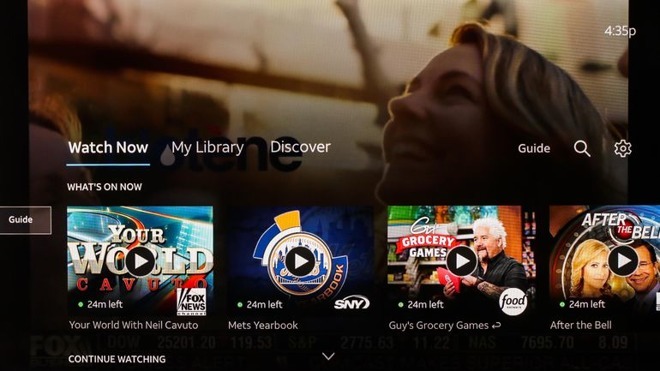 The new pricing is comparable to PlayStation Vue or YouTube TV, and follows hikes by the latter and Sling TV. It also comes shortly after the $85 billion Time Warner takeover by DirecTV Now's parent company, AT&T. The carrier defended its move as a way to "continue delivering the best possible streaming experience for both new and existing customers" by "bringing the cost of this service in line with the market." It did recently launch a cheaper alternative, WatchTV, available as part of "Unlimited &More" data plans or as a $15 standalone service. This offers just over 30 channels however, and no sports or local options. It also lacks any DVR functions. Apple is preparing to get into the video game itself, developing an original slate of TV programming for launch in 2019. The company is even rumored to be considering a bundle of Apple Music, Apple News, and original video subscriptions, which might pose a challenge less to DirecTV Now than services like Netflix and/or Amazon Prime Video, depending partly on how much it costs. Apple is reportedly spending some $1 billion on the video side of the equation, and has lined up exclusives with J.J. Abrams, Jennifer Aniston, M. Night Shyamalan, Oprah Winfrey, Reese Witherspoon and other big Hollywood names. Supported Apple platforms for DirecTV Now include the iPhone, iPad, and Apple TV. iPhones and iPads must be running iOS 10 or later.